I remember the first time I saw Bobby Flay top pulled pork with crispy coleslaw! It was ingenious and after trying it for myself, I was sold! Not only do I love pulled pork sandwiches topped with slaw, but my children, who never eat coleslaw, absolutely love it on theirs! Slaw Dressing . . . creamy, delicious and ready to mix into the cabbage! I used to buy Marzetti Original Coleslaw Dressing because it had the best flavor, however, it also comes with a hefty price tag and a soybean oil base, something I am trying to avoid! 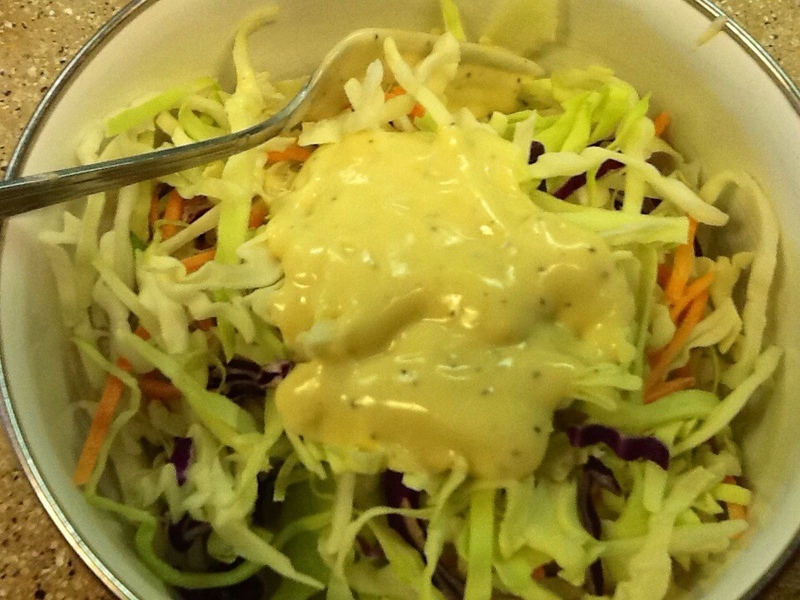 I believe I've come up with a comparably tasting slaw dressing, while removing the soybean oil and replacing it with a canola based mayo (a much healthier choice). This is my very tasty solution at a fraction of the price! When making my slaw dressing, I use my pinkie fingers for taste testing. I'm tasting to see if there is enough acid for zing and enough sugar to balance the dressing. Making "your perfect slaw dressing" is always a matter of personal preference so, taste, taste, taste! The size of your lemon will vary so it's important to adjust your sugar. Begin by adding only 3 tablespoons of sugar . . . you can always add more, a little at a time. To a medium size bowl add mayo, Dijon, vinegar, lemon juice, 3 tablespoons of sugar, celery seed, hot sauce and salt and pepper; mix well with a whisk. Dip in just the tip of your pinkie finger and ~ Taste! Adjust sugar if needed, mix, and Taste! Add salt and pepper, whisk ~ Taste! Do you want more heat? Add another dash of hot pepper sauce, whisk and Taste! Keep your dressings in a mason jar with a screw on cover. The perfect side for fish, ribs or topping pulled pork sandwiches! There are some meals that just need a cold, crunchy, tangy side of coleslaw. . . Fish and chips, baby back ribs, and my new found favorite ~ pulled pork sandwiches! 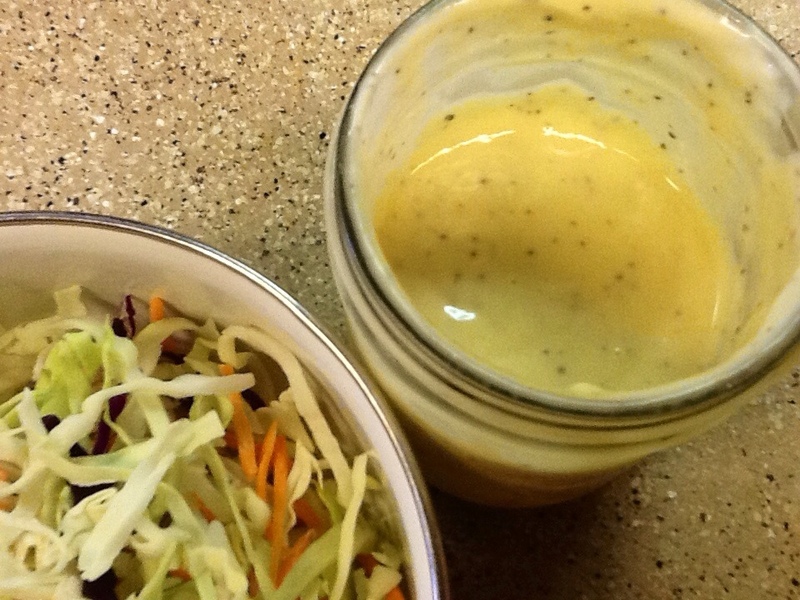 It really helps to have a great coleslaw dressing in your cooking arsenal. You can make it up fresh . . . exactly the way you want it, and it will be healthier and save you money! 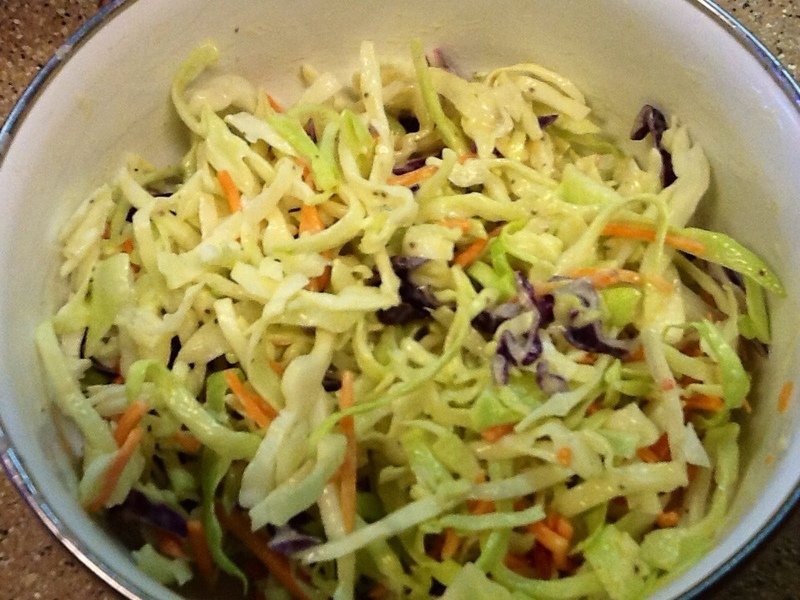 There is such a satisfaction whipping up a quick batch of tasty slaw dressing . . . Over at Julie's!!! P.S. ~ Tomorrow I'll be sharing my recipe for Amazing Ribs!